Mersa Matruh is one of the most ancient cities of Egypt. It is said that Cleopatra once loved to enjoy its beauty. It is located in a large bay on the Mediterranean coast about 240 km from Alexandria and 500 km from Cairo. Mersa Matruh boasts white sandy beaches, clear azure waters and a mild climate. 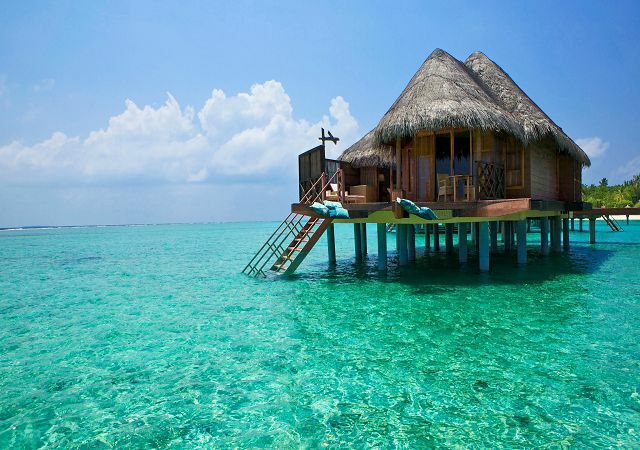 It is called the Egyptian Maldives, and it is quite unlike Hurghada or Sharm el-Sheikh. 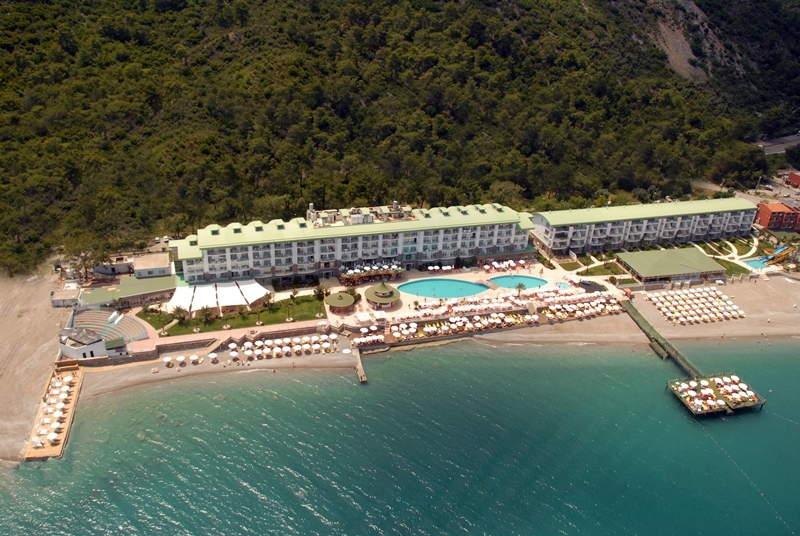 We decided to share with you useful information about this resort. As always on our site there are many tours to Egypt! Mersa Matruh is ruled by a Mediterranean climate with cool, wet winters and warm, comfortable summers. From strong wind, it is reliably protected by a chain of rocks. From December to February, the thermometer rises during the day to +17 ° C … + 19 ° C, and at night it drops to +9 ° C. The water temperature at this time does not exceed +16 ° C.
In March and April, daytime temperatures rise to +23 ° C, and nighttime temperatures to +13 ° C. In May, the air warms up to +26 ° C, and the water reaches +20 ° C and the beach season begins. From June to August, the thermometer shows +25 ° C … + 30 ° C. The nights are warm (+19 ° C … + 21 ° C). Water heats up to +26 ° C. Summer and the first 2 months of autumn – the best time to relax in Mersa Matruh. 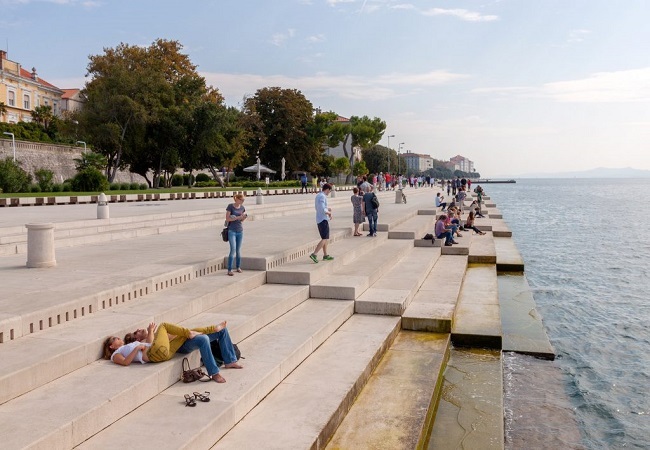 In September and October, the average daytime temperatures range between +26 ° C … + 29 ° C, and at night +18 ° C … + 20 ° C. Sea temperature is kept at +24 ° C … + 25 ° C. In November it gets cooler (+15 ° C at night and +21 ° C … + 23 ° C during the day) and the water cools down to +20 ° C.
This resort meets the European level of service and beaches, which are among the five most beautiful in Egypt. You should definitely visit the beach of Adzhiba with its grottoes, caves, white sand and clear water. Lovers of secluded relaxation will enjoy Graham and Haram beaches. The latter is located 17 km from the city and is considered a very romantic place. Cleopatra baths are located 7 km from the resort in a small bay. Here you can not only swim and sunbathe, but also see how the water changes color from blue to piercing turquoise. Beach activities include snorkeling, banana and water skiing, boat trips and diving to sunken ships. In Mersa Matruh Europeans love to relax, as well as the Egyptians themselves, and this is further proof that he is worthy of attention. Clean sand, a smooth set of depth, lack of stones, corals and high waves make this resort ideal for traveling with children. Hotels in the city have a relaxed atmosphere, a large green area and less active than in Hurghada or Sharm el-Sheikh, animation. Hotel Caesar Bay Resort 5 * on the beach of Adzhiba offers luxurious spa programs, bright spacious rooms, secluded villas, a panoramic pool and a well-equipped playground. 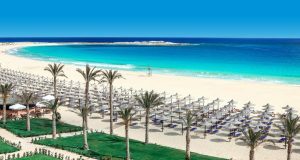 Carols Beau Rivage Matrouh 5 * on the quiet and shallow Ubaia Beach will enjoy a wide range of entertainment, a terrace overlooking the sea and chic rooms in oriental style. In Almazino 4 * with its snow-white villas there is a feeling that you are not in Egypt, but in Greece. Jaz Almaza 5 * has a comfortable mini-club, four pools and offers rooms of European type. There are many hotels, bars and restaurants in Mersa Matruh, and you will definitely find the ones that you like. 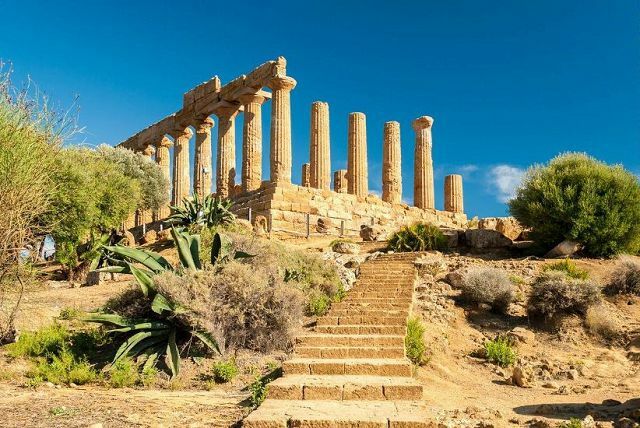 The rating of interesting places of the resort is headed by the ruins of the fort and the temple of Ramses II, the Rommel Museum and the Cleopatra Baths. The museum is located 3 km from the resort in the catacombs dug during the war. The ruins of the fort and the temple await you 24 km from Mersa Matruh. We have already mentioned the baths and they are definitely worth a visit. The town itself is very beautiful and beautifully illustrates the color of life in northern Egypt. You can ride a bike through its streets, and then go to a traditional restaurant or bar with a hookah and a delicious menu. Shoppers will love the local markets with African cotton, fragrant oriental perfumes, jewelery and hand-crafted items. After exploring all the beauties of Merce-Matruh, you can wave to Alexandria with its unique and rich history (about 3.5 hours drive), noisy and contrasting Cairo with its pyramids (4.5 hours) or to Siwa oasis, which is called a piece of authentic Egypt ( just over 3 hours). A tour of Sivu includes a visit to the sandy city of the 12th century, the Mountains of the Dead with 700 tombs and the ancient temple of Amon. And you can also make a sortie in the desert and sandboarding. In Mersa Matruh, Muslim foundations operate. Therefore, do not drink alcohol outside hotels, restaurants and bars. Noisy behavior in public places is also not welcome. Public transport in the city is usually crowded. You can travel by bicycle, the rental price of which starts from $ 2 or by taxi. In the latter case, be prepared to pay between one and three dollars for every 10 km.